Celebrate the New Year at scenic Skamania Lodge this Thursday night. What better place to enjoy the last few hours of 2015 than at a beautiful lodge in one of the most picturesque places in the region? 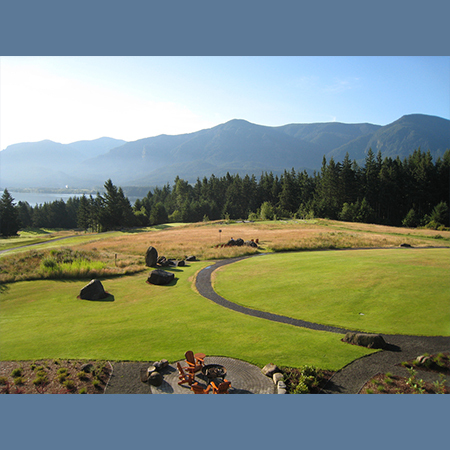 Ring in the New Year Skamania Style! Our special New Year’s Eve Dinner package offers an overnight stay, $100 dining credit to enjoy in The Cascade Dining Room or River Rock Lounge. Extend the fun with our annual New Year's Eve Ballroom Bash. Join us for live music and dancing with returning favorite Design Band performing, and a bountiful midnight breakfast buffet to keep energy up! Please note that the package price does not include entrance to our New Year's Eve Ballroom Bash. For guests wishing to attend our New Year's Eve Ballroom Bash, you may purchase tickets separately at $65 per person or $120 for couples. The party will begin at 8PM and conclude at 1AM. Door will open at 7:30PM. *New Year's Even Ballroom Bash guests must be 21 years of age and older. To learn more, or to secure your spot at the New Year’s celebration, call 800-221-7117 or BOOK ONLINE.